As done every year the department delivered Santa Claus to the annual City of Stafford Children’s event this evening. Riding atop Truck 21 Santa and Mrs Claus were welcomed by the many in attendance. 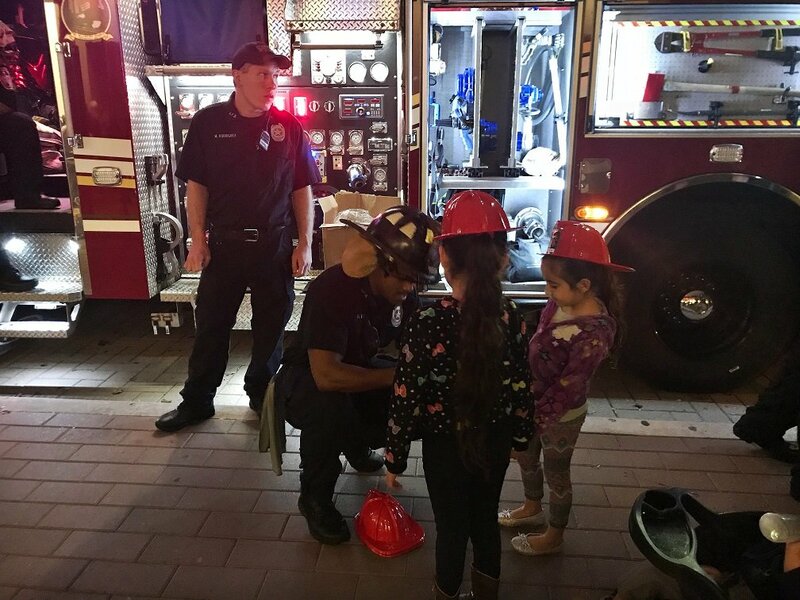 During the evening event personnel of Engine 22 and Truck 21 showed the kids the apparatus, handed out replica fire helmets and enjoyed time in preparation for the holiday season.